It's that time of year again. Spring wedding season is upon us. 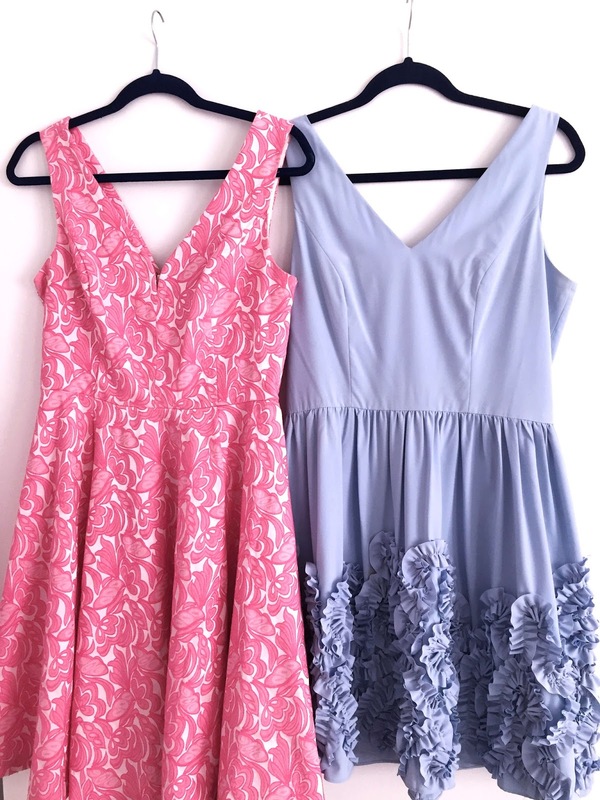 Instead of trying to find entirely new outfits to wear (which can add up quickly on top of all your other wedding guest expenses), try mixing and matching your accessories with a couple dresses. It will keep it fresh enough looking that your IG feed and facebook pictures don't look like you're wearing the same exact outfit over and over again. Besides, your followers might just be impressed or inspired to mix and match their own wardrobes rather than purchasing numerous outfits for all the different weddings they'll be attending. Inspiring fashion choices? That kind of makes you like a real life Gigi Hadid. Go you! 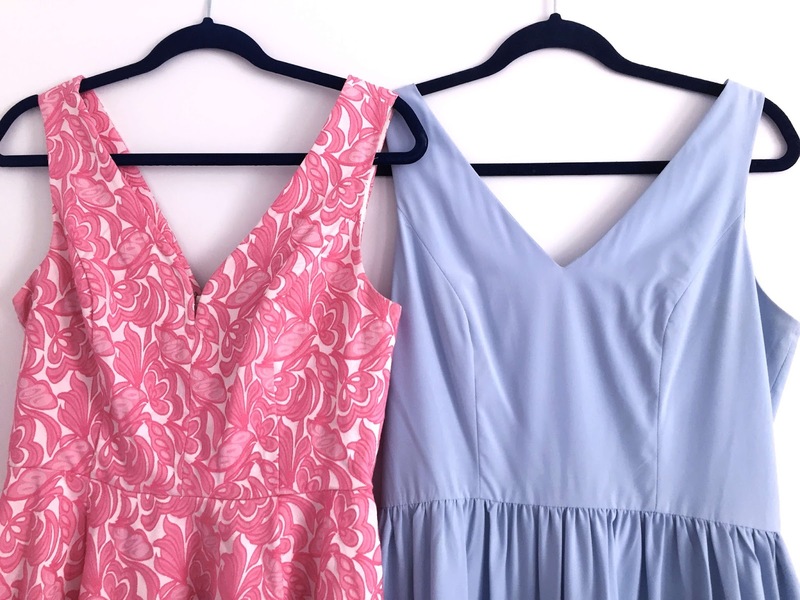 The trick is to stick to dresses that are similar in style and are complimentary in hues and colors (think complimentary, triad, or analogous colors). 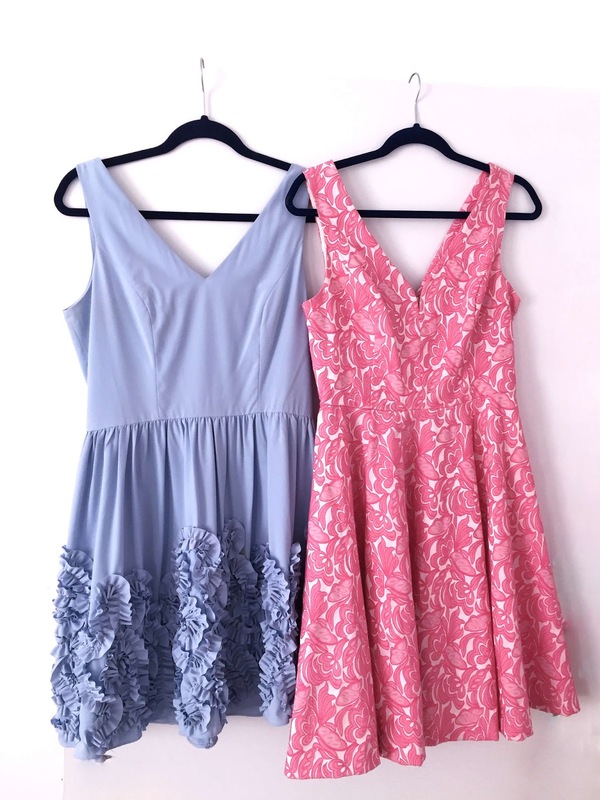 Here I have two V-Neck, A-Line, fit and flowy dresses that are in the pastel color family and are sort of triad colors of periwinkle blue and pink (BONUS: they are very close to Pantone's colors of the year, Rose Quartz and Serenity). The structure of the dresses allows for accessories to mix and match endlessly because even on the other dress, the bones are the same. Another less expense option, which is also eco-friendly, is to rent your clothes. Rent the Runway and others like it offer designer clothes at a fraction of the retail cost. You get to feel like a million bucks without spending a million. Also, you rarely wear those event specific dresses again anyways so it's preventing your closet from spilling over with unwearable items and takes away the guilt of having to donate a killer dress that cost a lot. Besides, who doesn't love looking stylish while helping the environment?